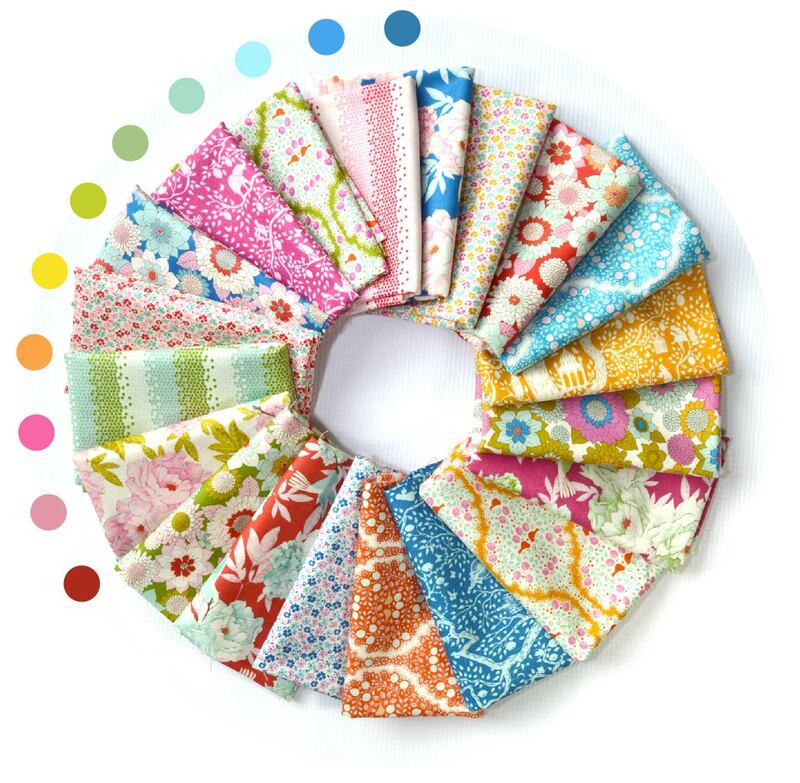 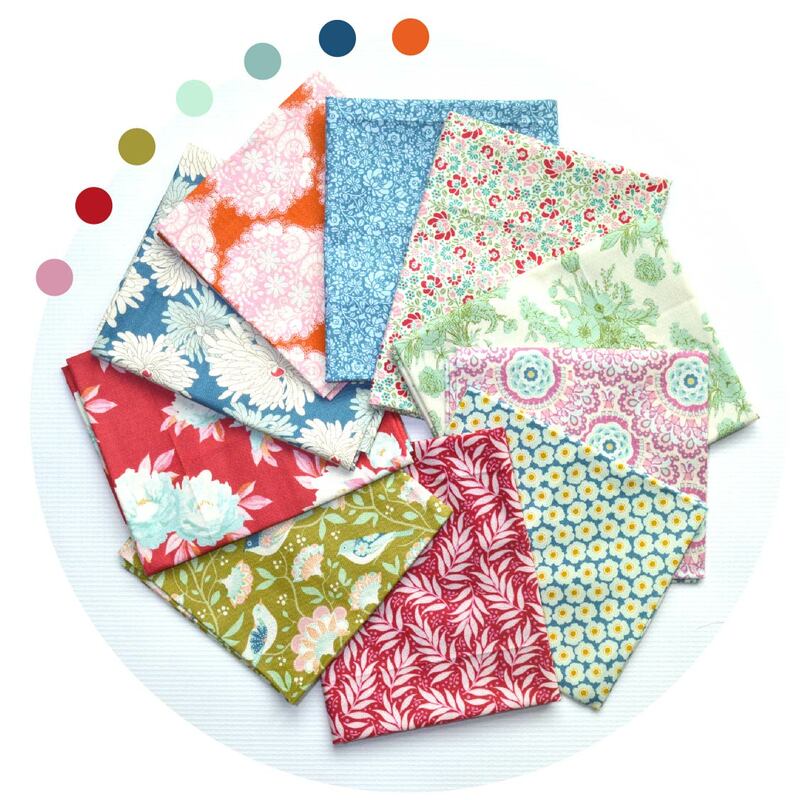 Kit includes 2 yards white fabric, plus four fat quarters (each 18″ x 21 1/2″) of solid colors, ten Tilda Fabrics prints (each piece is 10 1/2″ x 21″) and the Aurora Quilt pattern. 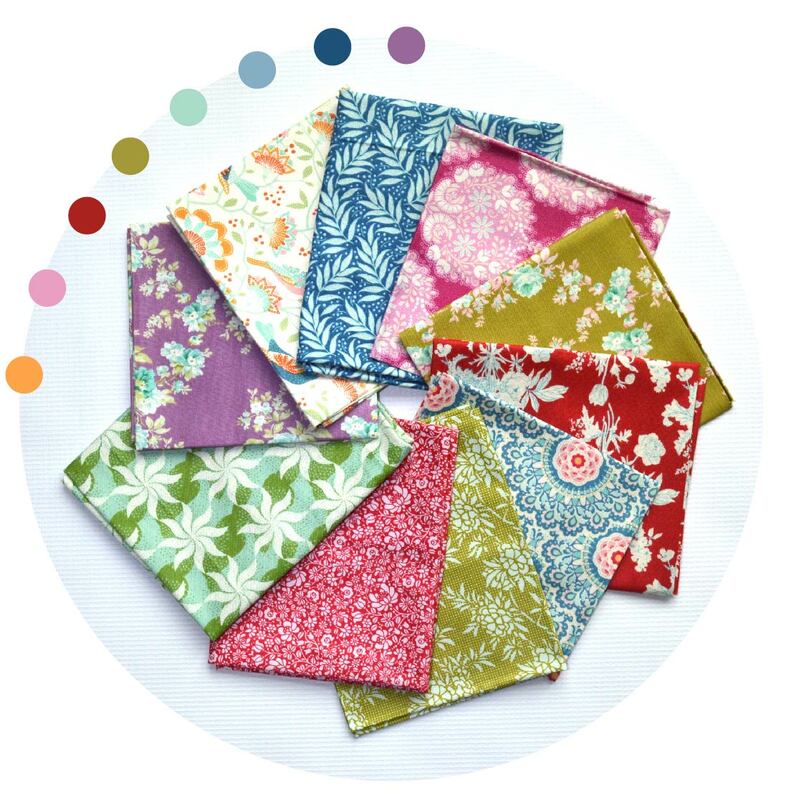 Quantities sufficient to make 45″ x 46″ quilt. 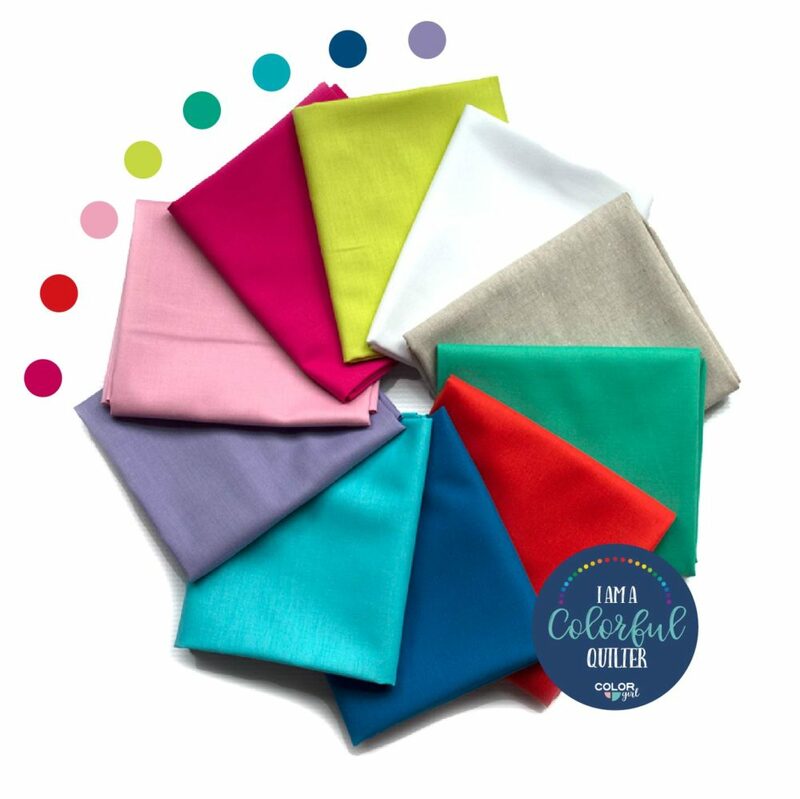 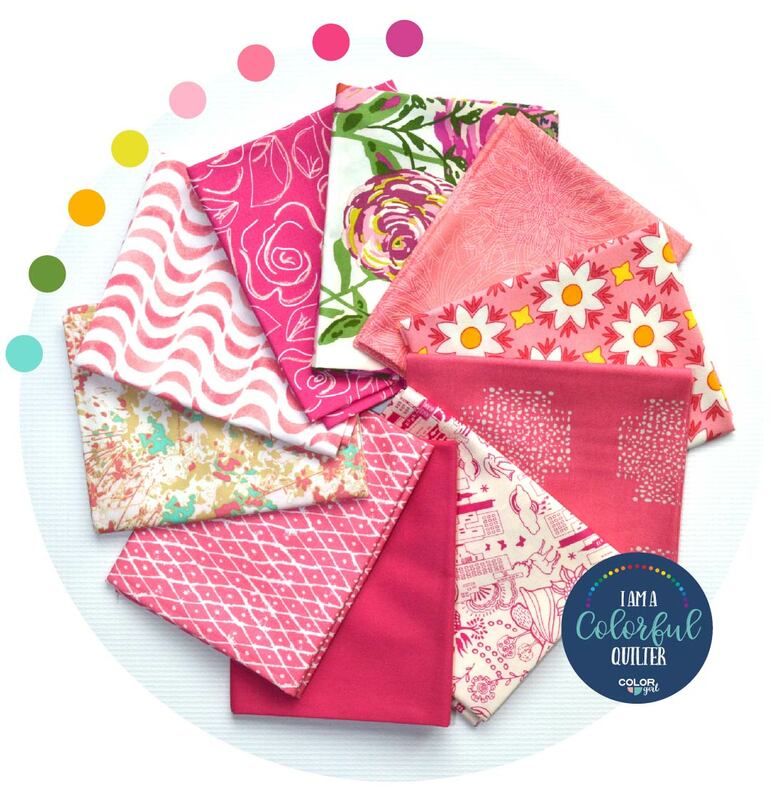 Each Color Girl fabric collection or kit is custom curated and exclusive. 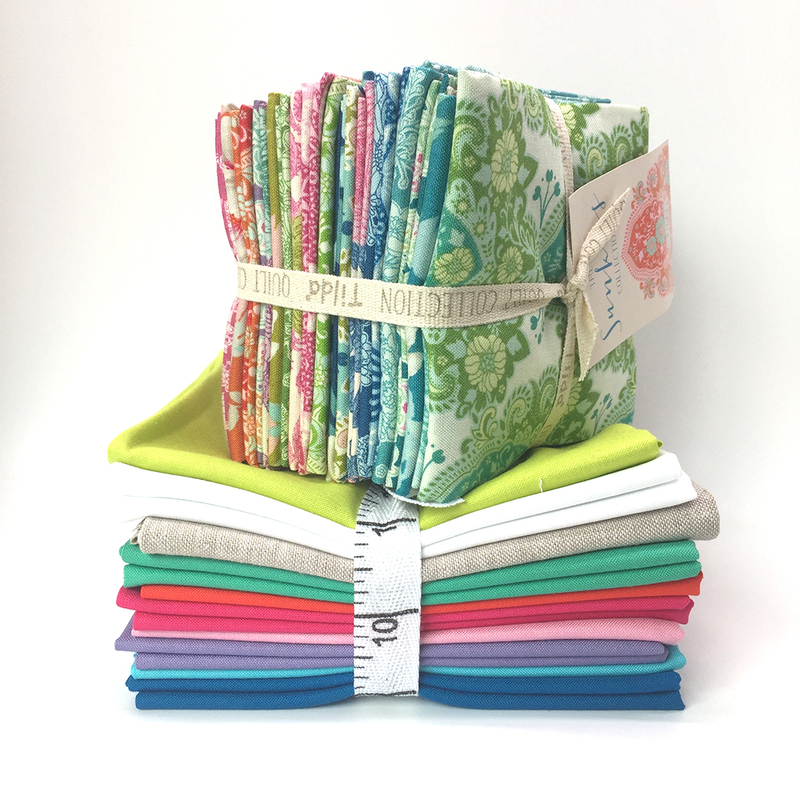 Orders ship the same or next day and all fabric orders include a free gift. 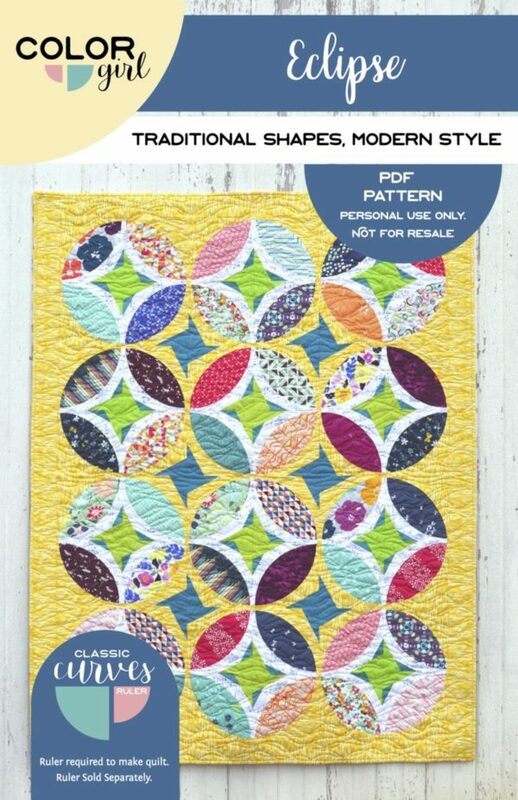 You’ll get your happy mail and be ready to sew in just a couple days! 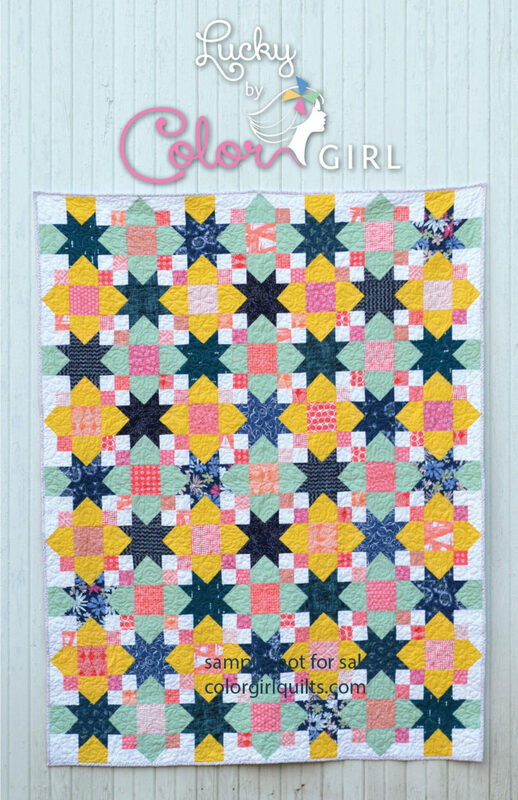 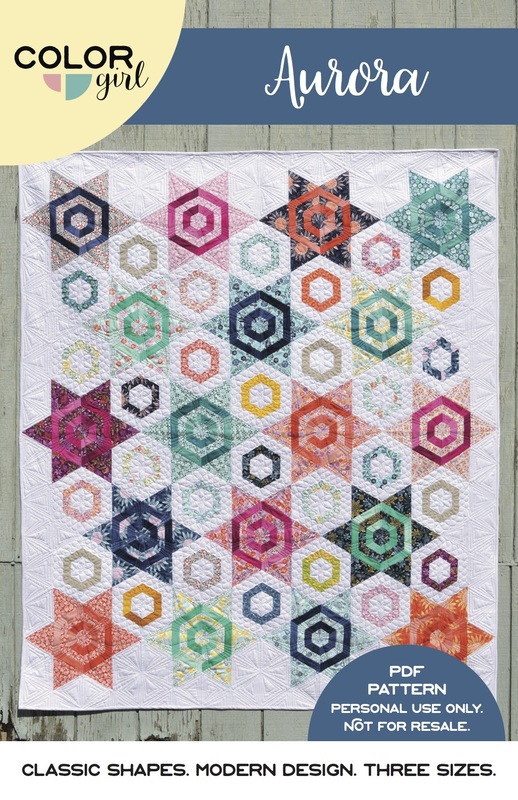 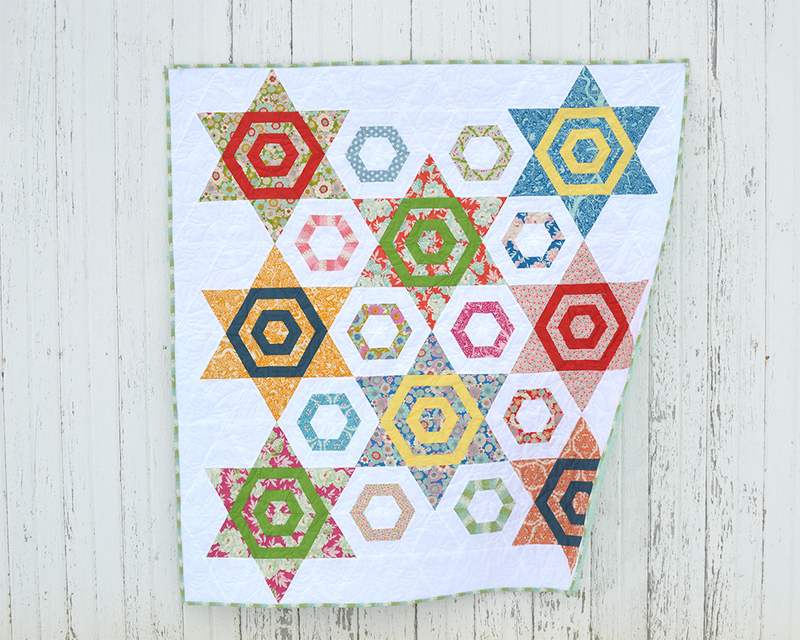 Sew up the beautiful Aurora quilt with soft summer colors and classic Tilda prints. 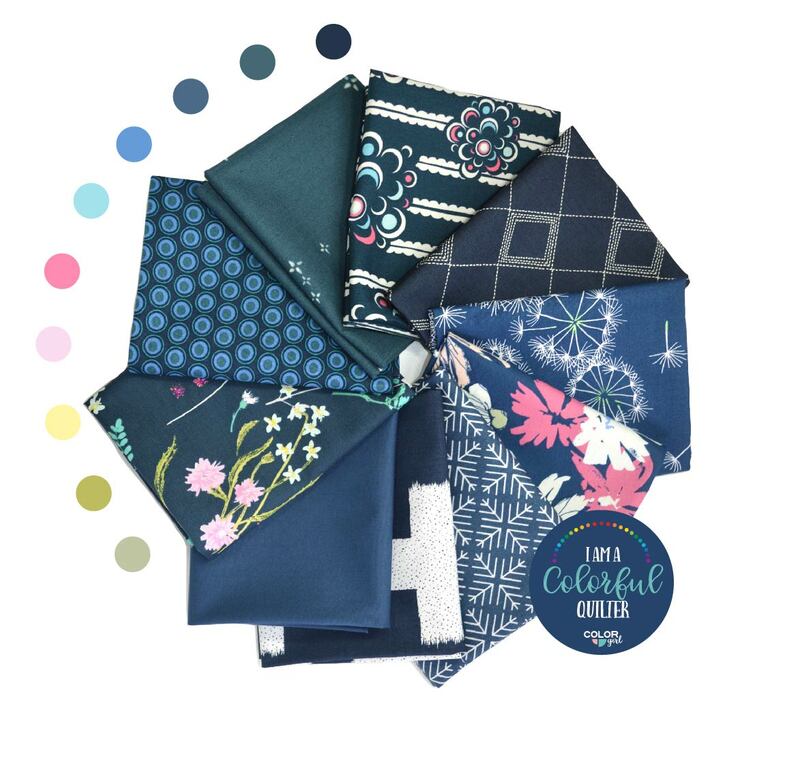 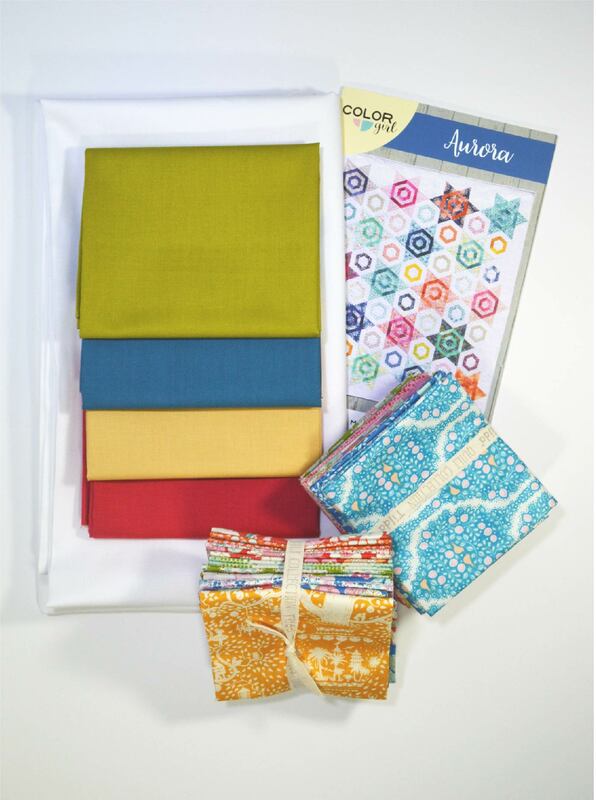 Kit includes the white and solid color fabrics, ten prints from the from Tilda Fabrics (each piece is 10 1/2″ x 21″) plus the Aurora pattern by Color Girl Quilts. 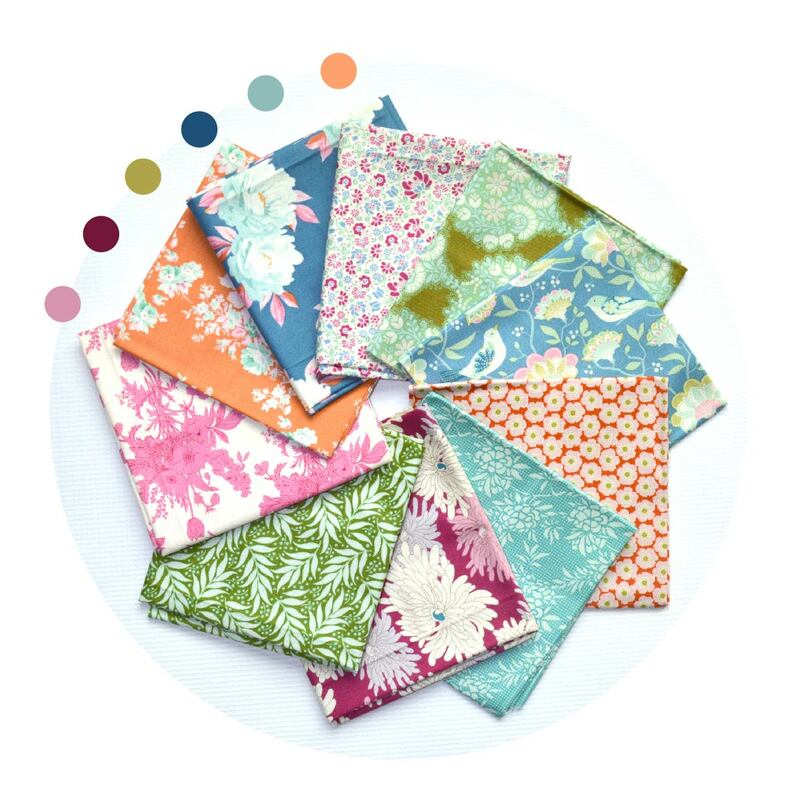 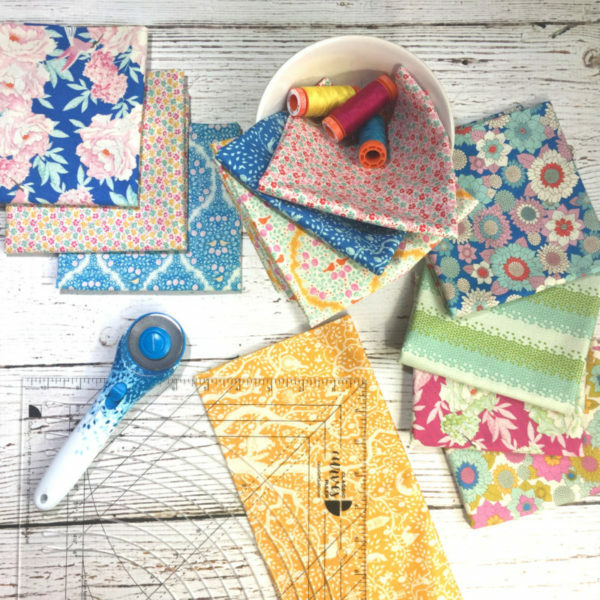 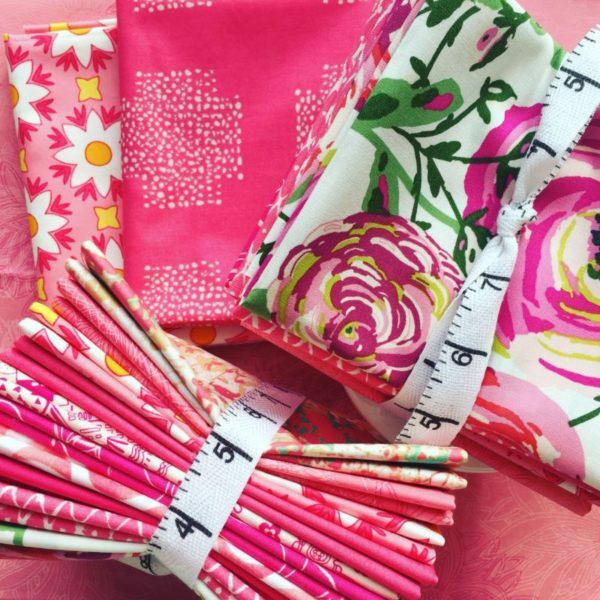 Kits take the guesswork out of choosing fabrics: all the fabric you need (with plenty of extra in case you make a mistake) to make a gorgeous quilt top and the pattern all ready to sew! 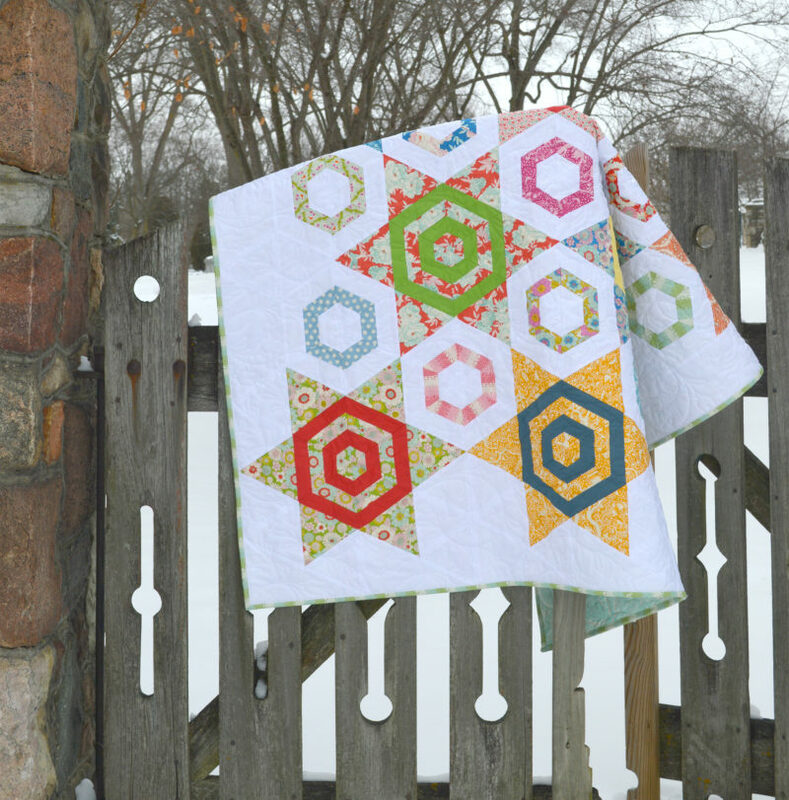 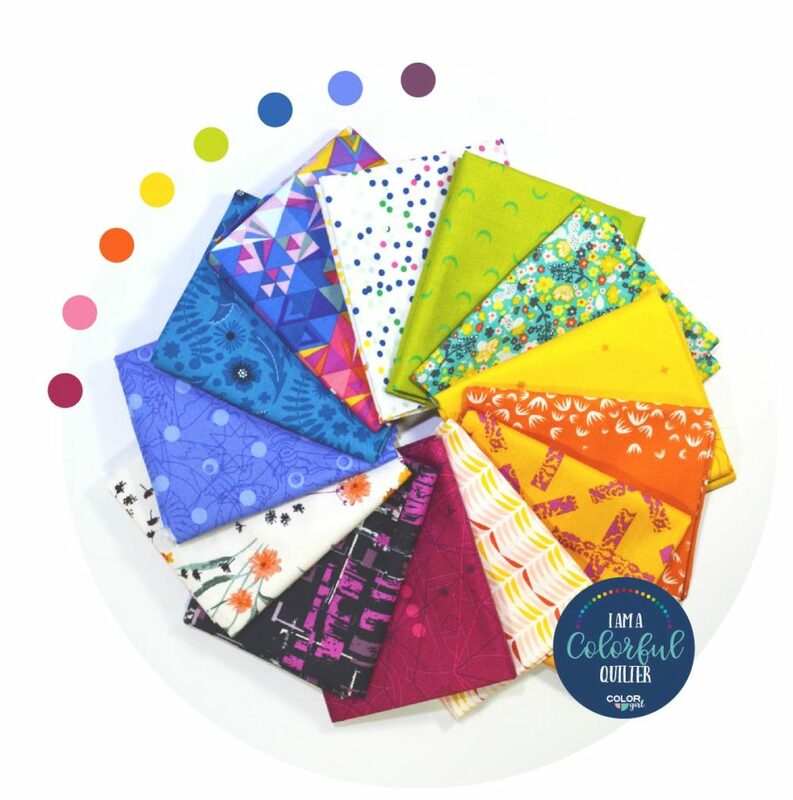 For larger quilt, purchase solids bundle and full Lemon Tree collection bundle with Aurora pattern.